If you have any doubts about whether or not investing in concrete leveling can increase your property value, we hope you will take it from us, experts in the field since 1977. 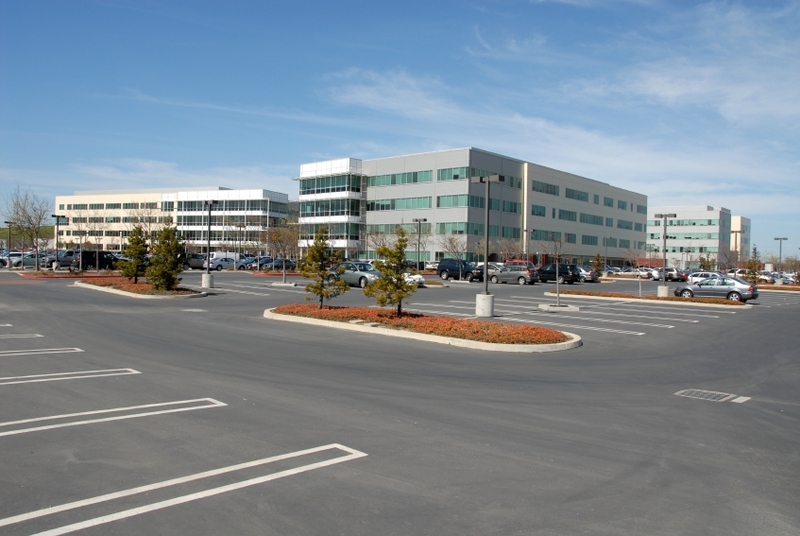 We see property values rise all the time as a result of concrete leveling. The equation is simple, really. When concrete begins to show signs of settling, you start seeing cracks. 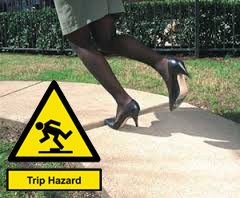 Before long, those cracks become worse and you are now dealing with tripping hazards. 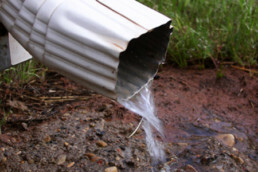 If things get really bad, such as when settling and erosion underneath your concrete slabs is severe, your driveway or walkway may become unusable. At best, your damaged slabs look like an eye-sore. At worst, you could be dealing with a real safety problem. Detroit Concrete Leveling specializes in professional concrete leveling - which is more effective and less expensive than replacing your concrete. When it comes time for assessors to look at and evaluate your property, they will make note of the condition of your entire property, including your concrete driveway, walkways and the foundation of your home. 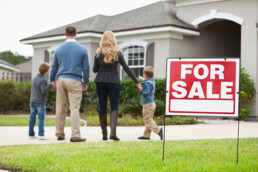 If they are in poor condition, your property value will suffer as a result. But just as concrete slabs that are in poor condition will decrease your property’s value, repairing those slabs with concrete leveling will increase your property’s value. Our team can raise your sunken driveway, sidewalk, patio, stairs, garage floors, and basement floor. 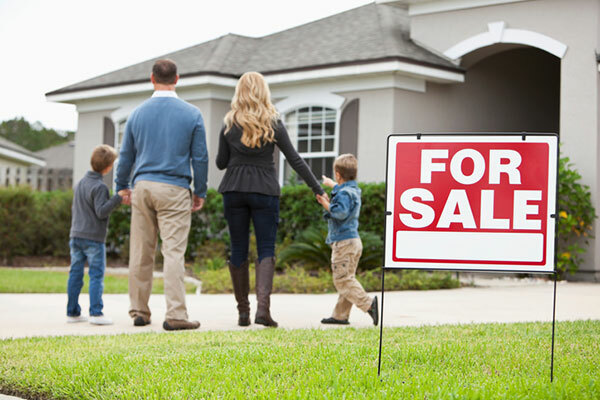 If you are considering selling your home, prospective buyers will see the exterior of your property first. And we all know what they say about making first impressions. Your house’s first impression could make the difference between a potential buyer checking out the interior of your home and walking away before entering. If they walk into your house, there is a chance that the work you have done to upgrade and clean the interior will impress that buyer enough to eventually make an offer. But if your driveway or walkways create a poor first impression, all the work you have done to make the interior presentable and appealing will have been for naught. Ultimately, there is no good reason NOT to invest in concrete leveling, and Detroit Concrete Leveling has been doing excellent work in helping people increase their property value since 1977. Our concrete leveling process is quite simple and far less expensive than replacing concrete slabs altogether. We drill small holes in the existing concrete and fill the holes so that the slabs return to their original levels. We fill the small injection holes and dye the filler to match the color of the slab and the entire process leaves the area neat and clean. And when the process is complete, you will be able to feel good about the fact that you have taken a step toward increasing the value of your property. We complete most jobs in a matter of hours. 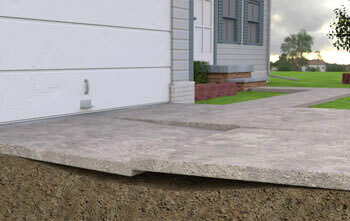 Call us at 866-472-9033 for more information about the concrete leveling process. 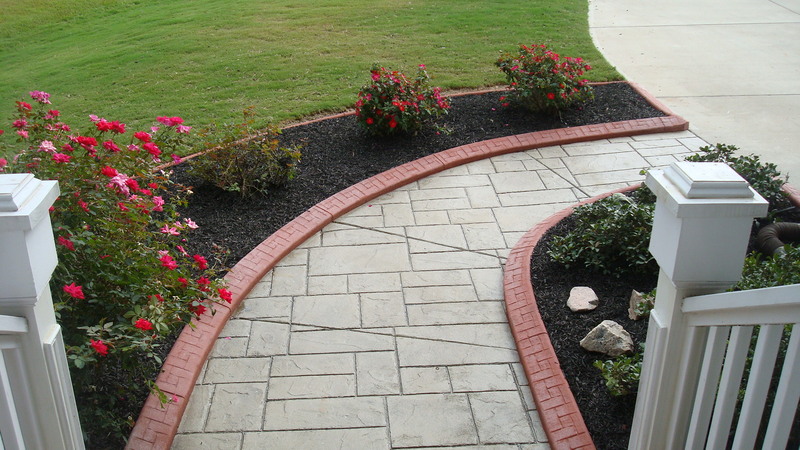 Keeping your concrete clean can significantly improve your home's curb appeal and overall aesthetics. If you have not cleaned your concrete in a long time, you may need some professional assistance to make sure your home looks the best it possibly can. With that in mind, there are some things you can do on your own to make your concrete look like new. 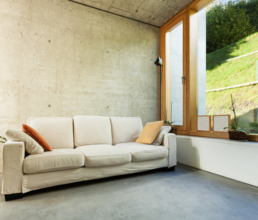 Use the tips below to learn how to keep concrete clean. 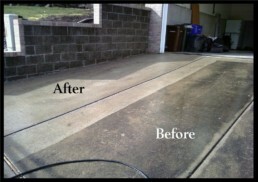 Power washing is by far the most common way to clean concrete. This can be effective at cleaning set in stains and getting rid of dirt and debris you just can't reach. You can hire professionals to power wash your concrete, or you could do the power washing yourself. If you want to do this on your own, you will need to get a kit that converts your garden hose into a power washing machine. 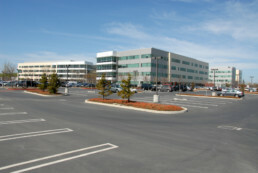 Some concrete stains can easily be removed with chemical scrubbing. You essentially pour on the chemicals and let them soak into the stain for however long the instructions suggest. Then you can rinse off the concrete and hopefully reveal a brand new surface. Not all chemical cleaners are effective, so do not be surprised if you end up needing to power wash in addition to using a spray. For grease stains, you may be able to use salt or cat litter to soak up the grease. Pour one of thee over the area and let it sit for at least 15-30 minutes. Then sweep it up and see what you find underneath. 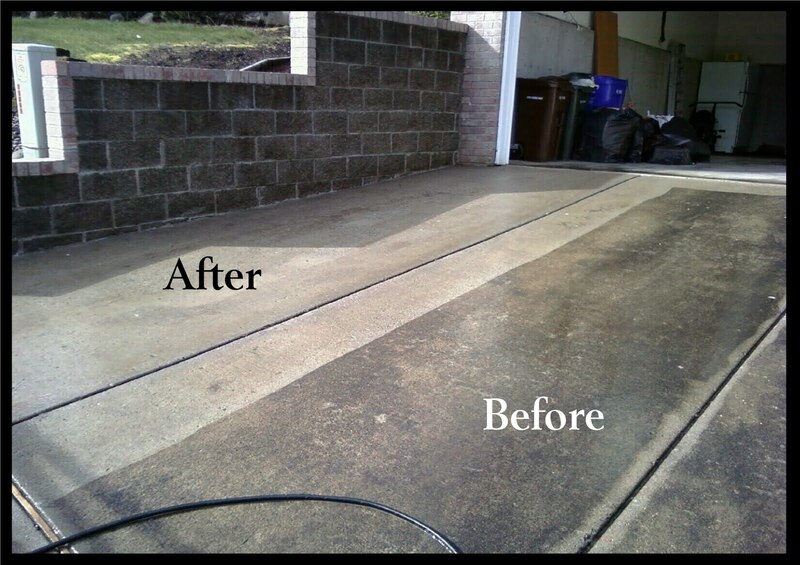 You can choose to power wash the concrete after the grease stains have been removed because there may be some residual stains left. In order to keep your concrete clean and your labor at a minimum, try to tidy up your concrete periodically. If you see weeds starting to form along the edges, clean them up before they get out of hand. If you spill paint on the concrete accidentally, try to power wash it before it sets in too much. Sweep the area on a regular basis, and be sure to clean under items that are always on the concrete (grills, patio tables, etc.). If you can keep up with the mess as it develops, you won't have to spend much time cleaning it up.